On May 22, 1917, Baltimore native Herbert H. Renshaw – a twenty-year-old Navy seaman – was serving as acting quartermaster aboard the submarine chaser USS Ozark, when he was lost at sea during heavy weather. Renshaw’s accidental demise in the Atlantic marked the 140th death of an American serviceman during World War I. But what makes Renshaw unique is he is both the first Maryland serviceman to die during the Great War, and the first US serviceman from that conflict officially listed as Missing in Action. Renshaw is honored on two plaques here in Maryland which list the thirty-nine Wicomico Countians who died in World War I. But far across the very ocean which abruptly took his young life, Renshaw’s name is inexplicably missing from two national monuments dedicated to those “Doughboys” and “Bluejackets” who made the ultimate sacrifice. Stephen Gehnrich, an amateur historian and Biology Professor at Salisbury University in Maryland, was the first to notice the omission. The Wicomico County plaque at the Baltimore War Memorial. Herbert H. Renshaw’s name may be found along with 38 “Doughboys” who lost their lives in WWI. “I have been a World War I buff for about twenty years. I was trying to learn more about men from Salisbury who had been killed in the war, and Renshaw’s story seemed especially unique and tragic. Although his name appears on our local memorial and in the War Memorial in Baltimore, I could not find his name on the American Battle Monuments Commission (ABMC) website. In January, I happened to stumble on the Doughboy MIA website and their searchable database. Since I knew that Herbert’s body was not recovered, I checked to see if he was on the list and was surprised that he was not. 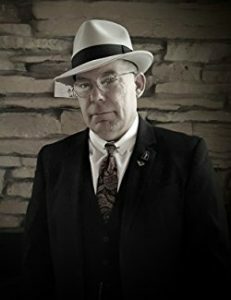 “Originally, I had written a book about the Lost Battalion from WWI. The dog tag of one of the guys who was MIA from the battalion turned up in France in 2001. The tag ended up in my hands in 2005, so I started researching the guy to try to find out what happened to him. That snowballed into researching other MIAs. 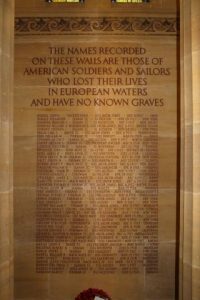 “When the US World War I Centennial Commission was established, a part of the website was dedicated to finding out what happened to the 4,223 Americans missing in action. “One of the difficulties for anybody researching the First World War is the United States government has an organization called the Defense POW/MIA Accounting Agency. Their job is to bring home the guys who were lost or missing in action. Unfortunately, the mission only takes them back to World War II. That’s largely because they don’t have the resources or the funding to do more. Even so, they do a tremendous job. But as far as WWI, they don’t know what to do. That’s where we come in. We can pick up the baton and try to fill in the blanks; to go through the files and determine what happened to the guys from WWI. “Half were lost at sea or were buried at sea. About 1,700 were lost on the battlefield for a variety of different reasons. We work with the list of names that was compiled by the American Battle Monuments Commission between 1919 – 1924. “As you know, I was contacted by Stephen Gehnrich, when he discovered that Seaman Herbert H. Renshaw’s name was not on the ABMC list. After checking with the ABMC, I got in touch with the American cemeteries in Britain and in France, which have walls that list the MIAs. Docents at both places inspected the walls and said Seaman Renshaw’s name was nowhere to be found. So we launched an investigation to see exactly what had happened to this guy. The USS Ozark was classified as a “Battle Monitor,” responsible for cruising and patrolling coastal waters. Prior to the war, the Ozark had served as an instructional vessel at US Naval Academy. Laplander noted that this past Monday (May 22) marked the 100th anniversary of Renshaw’s death. “They had only been out to sea a short time, and he was signaling to another ship when he went overboard in heavy seas. His fellow crew members threw him lines and life preservers, but they couldn’t get to him, and he went down. Laplander said that, even with the documentation, Seaman Renshaw will still be listed as Missing in Action. “When someone is lost at sea, there is no set of remains. It’s kind of a misnomer, because it’s Missing in Action – Lost at Sea – Body Not Recovered. We’re in the process right now of weeding out those who were lost at sea and those buried at sea. 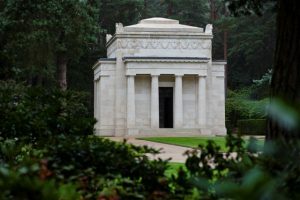 The exterior of the chapel is seen at Brookwood American Cemetery in England. “The problem with the burials at sea is that, at the end of the war, when the flu epidemic was so bad, guys who were on their way over were dying wholesale, and they could not keep those bodies on board. So, in the end, the records are a bit unclear. We’re currently looking at the men who were on board the HMS Toronto. It was a hell ship. They had guys dying left and right from the flu, and then they collided with another ship. So who got buried at sea versus who died in the sinking? No one really knows. Back in Salisbury, Gehnrich’s efforts to learn more about Herbert H. Renshaw also took him to the archives of the Baltimore War Memorial, and to a story which had appeared in the Wicomico News in 1918. “Using the information in the newspaper story, I knew that Herbert Renshaw had at least one brother. Both Herbert and Ernest Renshaw are listed in a book of Maryland men in WWI, and since they are both listed with the same address in Salisbury, I figured they were brothers. Using Find A Grave, I was able to track down Ernest’s youngest daughter, Mrs. Gail Renshaw Blackwell. Gehnrich then graciously put us in touch with Mrs. Blackwell. Seaman Ist Class Herbert H. Renshaw USN. “Dad loved his brother very much, but he rarely talked about the war. I guess it was because it was so bloody. Daddy and Uncle Herbert were born in Baltimore, but at some point, the family moved to Salisbury. I believe the home they bought was the oldest in Wicomico County. They purchased the property with my grandmother’s dowry. She had come from Ireland, and her name was Mary Francis Malone. “Herbert was the first Marylander to die in the war, but Dad didn’t like to talk about that either. It was just too upsetting for him. “My father died in 1973 and is buried in Luray, Virginia in Beahms Chapel because my mom’s mom was a Beahm. I was his youngest child of three. Daddy called me the last of the Mohicans. 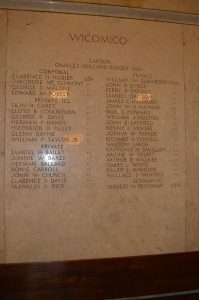 The Wall of the Missing at Brookwood American Cemetery in England. “I had a scrapbook with the newspaper clipping from when Herbert died. There were pictures of him and my father together, along with a picture of the boat. The scrapbook was very old and fragile, and I’m afraid it may have been lost when I moved to Florida. Mrs. Blackwell told us that she was in Baltimore in the late 60’s or early 70’s (her husband served with the Marine Corps in Vietnam), but she has never been to the Baltimore War Memorial or seen the plaque in Wicomico County. Mrs. Blackwell shared a few more stories with us, as she slowly leafed through the old family Bible. She confirmed that there was an older brother (George W. Renshaw), and sadly noted a baby sister (Elsie) who died in infancy. Pausing for a moment to collect her thoughts, Mrs. Blackwell teared up, as she recalled learning that, thanks to the efforts of Stephen Gehnrich, Robert Laplander and the volunteers at Doughboy MIA, a plan is in place to finally add the name of Herbert H. Renshaw to the plaque at Brookwood Cemetery.